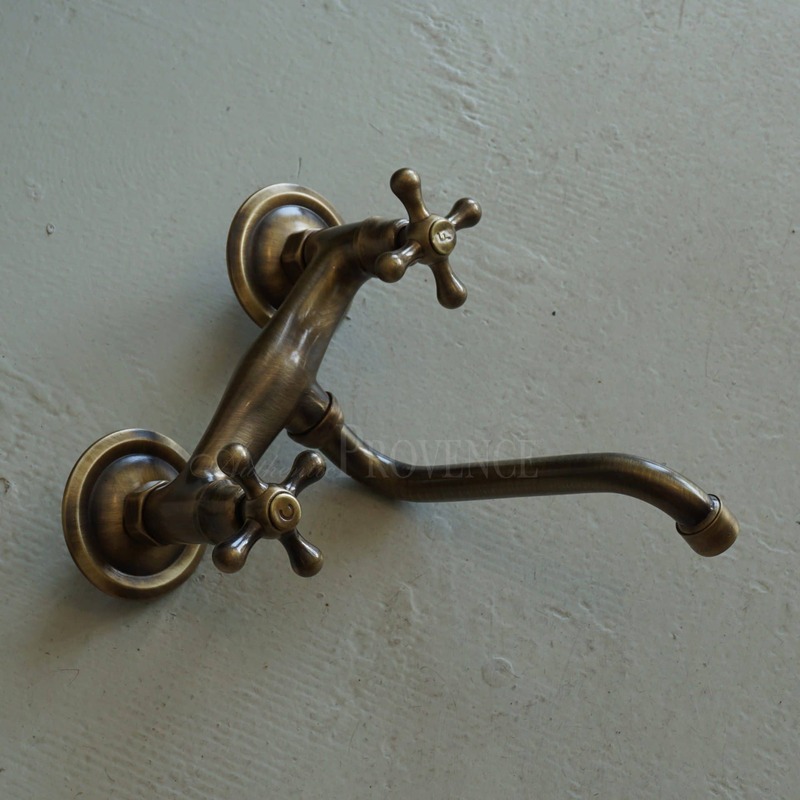 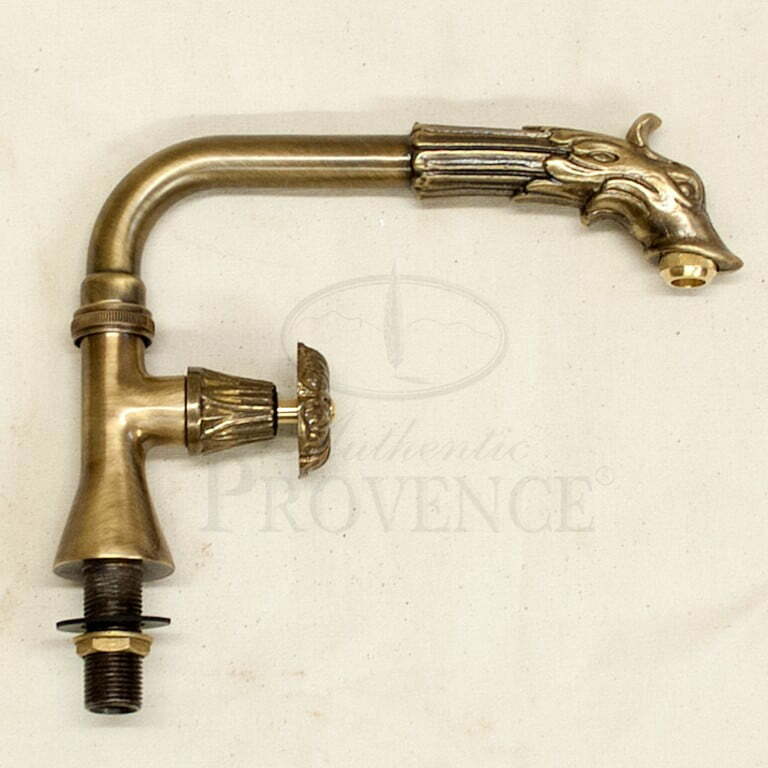 Authentic Provence has the largest and most exclusive collection of antique brass or iron spouts and spigots. 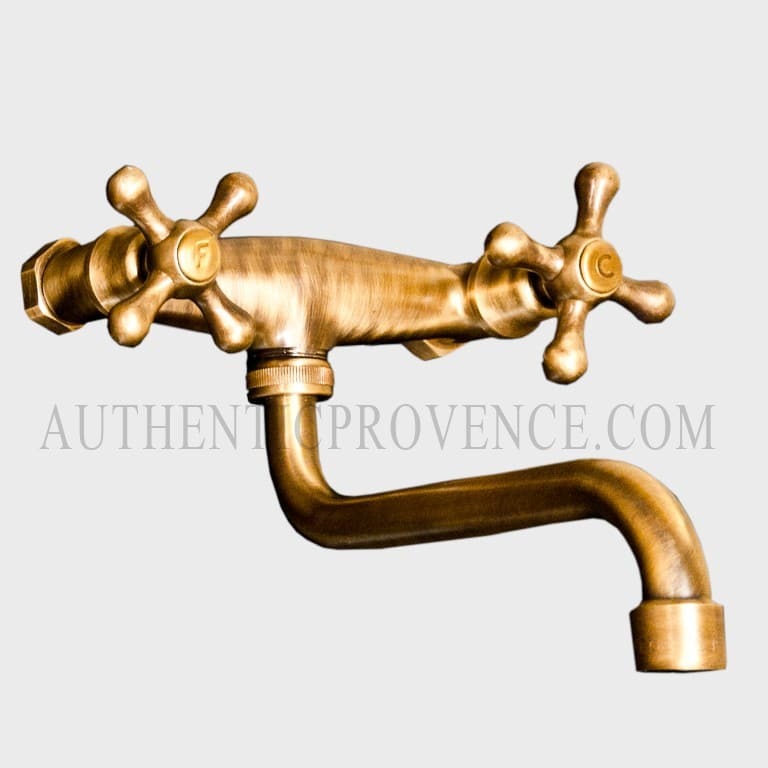 These classical styles have been seen throughout the majestic gardens in France and Italy for Centuries. 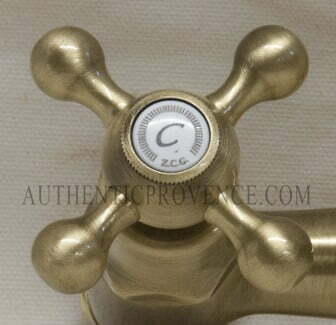 The Fountain Spouts are typically adorned with lions or “dauphins grotesques” (grotesque dolphin). 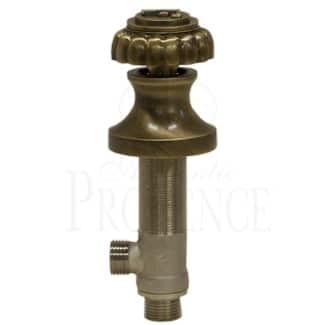 You will also find the simple more rustic Provencal spouts, which are typically seen mounted onto the village square fountains. 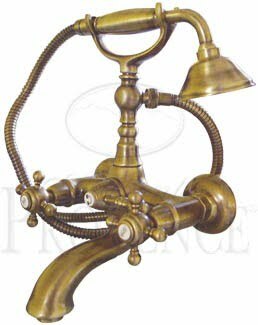 The fountain spouts are durable and can be antiqued for an immediate weathered look. 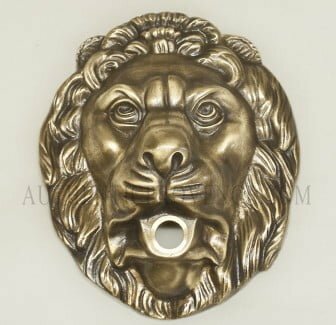 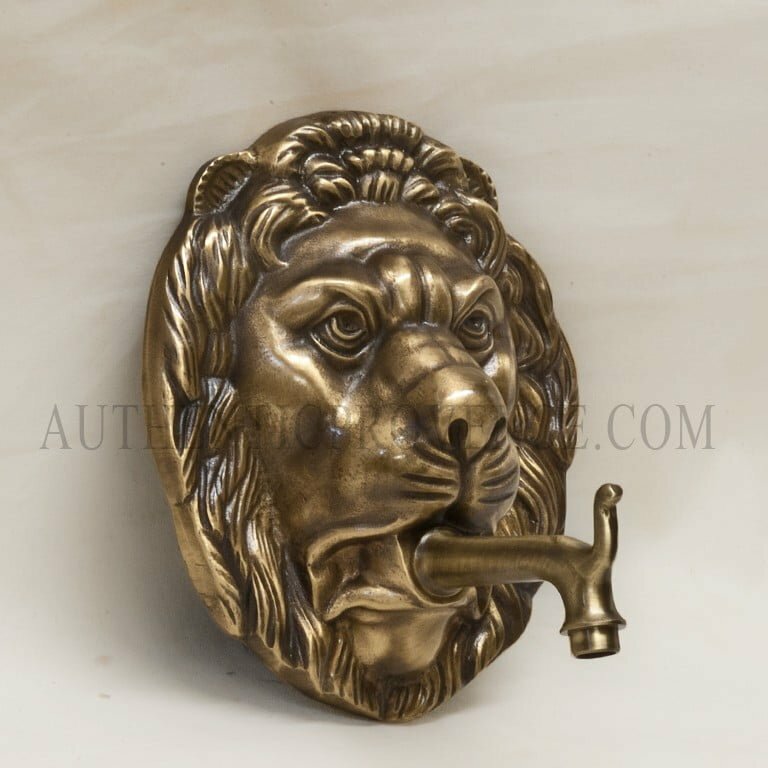 We offer limestone rosettes, satyres and lion heads in brass and limestone as wall features. 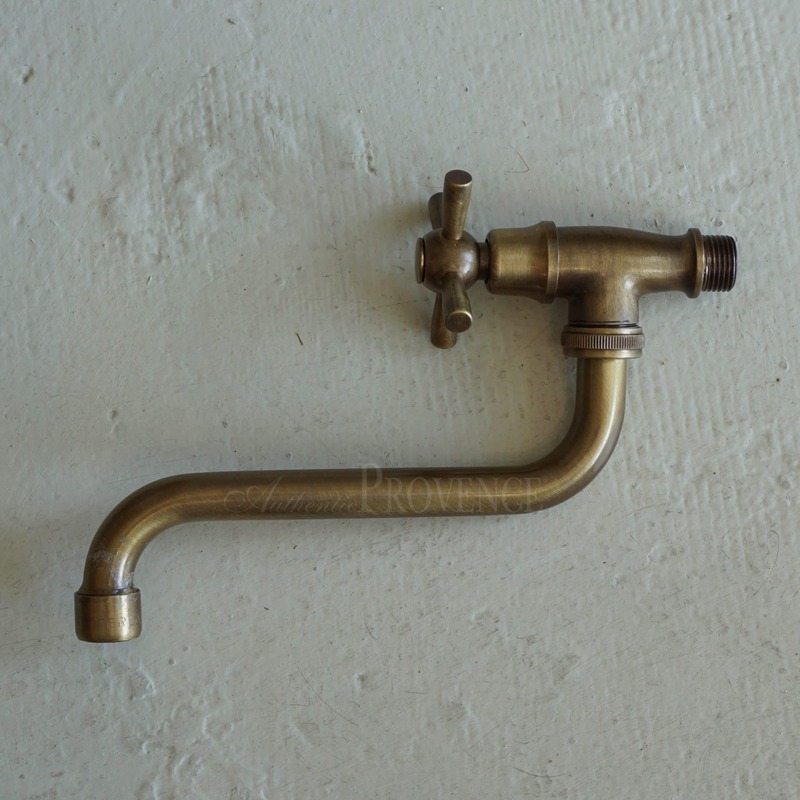 Additionally we can provide you with the brass or limestone backplate of your choice.